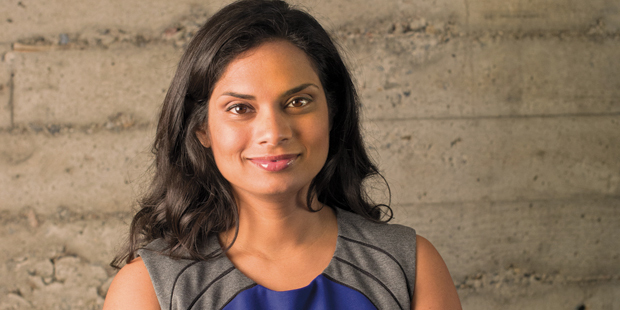 Growing up in the Deep South, Twitter General Counsel Vijaya Gadde ’00 knew early on that she wanted to be a lawyer. Fast forward to the present, when it’s Gadde’s job to make sure no one messes with Twitter. She landed at the company in July 2011, not long after the Arab Spring uprisings. The company’s mission, to be a platform for global self-expression and conversation, is intertwined with the legal issues it confronts, she says, enabling her to fulfill an early desire to empower the voiceless. As an undergrad at Cornell, Gadde majored in industrial and labor relations, focusing on the rights of workers. Afterward she set her sights on law and picked NYU, in part, she says, for its strength in international law. She interned at Wilson Sonsini Goodrich & Rosati’s California office in 1999 and was so taken by the entrepreneurial corporate work—from mergers and acquisitions to securities issues—that she ended up staying a decade. “Clients loved her, and I mean loved her, underscore,” recalls Katherine Martin, a partner. When Gadde transferred for a time to Wilson Sonsini’s office in New York, her many California clients stuck with her. She brings what Martin calls a “good emotional head” to everything she does. Gadde says she had always thought about moving in-house, under certain conditions. “I was looking for an opportunity where I could have a leadership position and use my skills and learn from somebody who could teach me,” she says. She reached out to her friend Alex Macgillivray, then general counsel at Twitter, but the timing wasn’t right. Six months after she accepted an offer to lead the corporate securities team of a client, Juniper Networks, Macgillivray called: Would she join Twitter now? At the time, Egyptians and Tunisians were rising up, facilitated by technology, in what the media dubbed a Twitter Revolution. “It was a no-brainer for me, because I wanted to be part of a company that was really dramatically changing the world,” Gadde says. She credits her boss at Juniper, General Counsel Mitchell Gaynor, for being supportive. Gadde spent two years as head of Twitter’s corporate team before taking the GC reins from Macgillivray in August 2013, just weeks before the company announced its initial public offering. Gadde had been working on the IPO long before, collaborating with Twitter’s CFO and outside counsel Wilson Sonsini, as the company’s top lawyer on the deal. Twitter’s stock flew high in its November debut. But the company confronts myriad issues falling within Gadde’s bailiwick, from privacy to intellectual property. Here, she relies on her earlier experience at Twitter when she also managed its international team. That group, organized by regions, confronts a wide array of issues from litigation to user concerns as they arise in their area. Gadde views her role as a coach, providing context to what’s happening at the board and executive levels, asking the right questions, and helping reach a decision that meets the company’s needs.